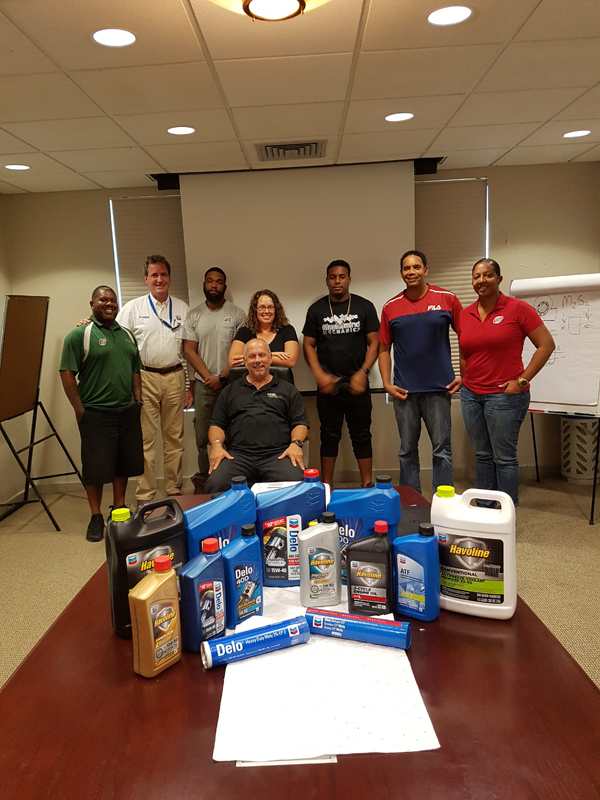 RUBiS Energy Bermuda recently hosted a Chevron Lubricants Products and Application training course. The training course was provided to employees of both RUBiS and its customers who are involved in various aspects of the lubricants supply chain. The course was provided at no charge to RUBiS’ clients as part of its customer value proposition. 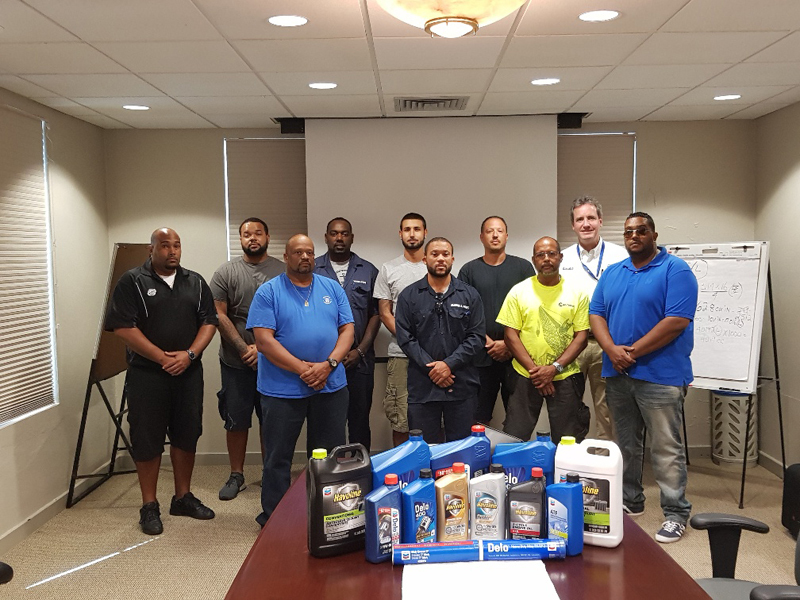 The training was conducted by Chevron’s regional trainer/field specialist, Kenneth Jensen of Grupo Lucalza, at RUBiS’ Bermuda headquarters. The course was conducted as a series of 4-half day modules encompassing the Fundamentals of Lubrication, Oil Characteristics & Composition, Heavy-Duty Diesel Engine Oils, Passenger Car Motor Oils, Engine Coolants, Automatic Transmission Fluids, Manual Gear Oils, Hydraulics, and Greases. Attendees also learned how to drill-down on the product labelling to determine the API specification to determine if the product is suitable for their application and would meet the Original Equipment Manufacturers [OEM] recommendations. Mr. Jermaine Simons, Sales Manager at RUBiS said, “RUBiS is committed to finding ways to increase the value we provide to our clientele. As the authorized Chevron distributor for Bermuda, we engaged them to help provide our team and customers with the knowledge of the products they use every day. “Lubrication of mechanical parts is not something one thinks about until its needed. The key is that when our customers need to make that decision, they now have an enhanced understanding of the different products that are there, what their functions are, and what benefits Chevron’s ISO-SYN synthetic technology can have in reducing engine downtime. Representatives from the Customer Service and Lubricants divisions of RUBiS Energy Bermuda, RUBiS Dowling’s Service Station, RUBiS Paget Service Station, the Department of Marine & Ports, the Ministry of Public Works, and Stevedoring Services were in attendance. All representatives that completed the requirements and testing will be recognized with Delo Interactive Training Certificates of Compliance.